I would just like you all to know that we are all 7 year old prepubescent girls now. We can never compare to this. Isn’t the upper right one in the bottom 4 Steven Spielburg? 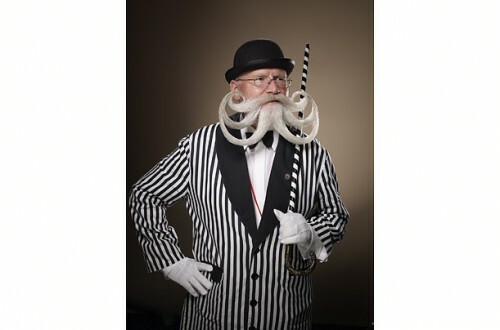 I stand in awe of him and all the other lords of facial hair. 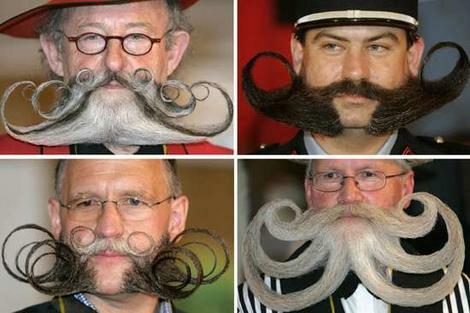 I assume this is from a beard growing/shaping contest held in Germany. Actually I think its from last weeks afro-carribean economical summitt in St Kitts. Pfft! 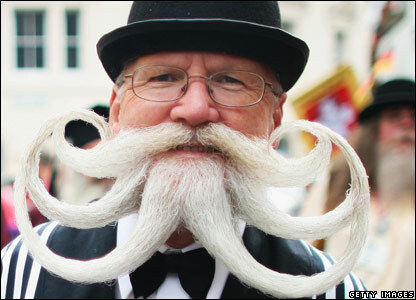 I can grow something like this in 2 days…. my wife just wont let me, that’s all. If I were single, I’d definitly be sporting one – with pride!